Here are some valuable resources that you, as a new employee, can utilize to launch a productive and successful career at RIT. 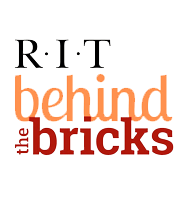 For more information please visit the Frequently Asked Questions (FAQ) or you can e-mail questions/comments to careers@rit.edu. New employees must complete Section 1 of the Form I-9 on or before their first day of employment. This can be done by logging into http://www.newi9.com/. New employees must present valid identification documents to a representative of the Human Resources Department in Eastman Hall no later than the third day of employment. Individuals are not processed for payroll without completing the Form I-9. Once HR has received the completed I-9 form, the employee information will be sent to the central IT identity system (CLAWS) to set up the appropriate affiliations. The new employee will obtain the ID card request form from HR so they can take it to the Registrar’s Office on the 1st floor of the Eastman Building. The UID number is written on the request form, if available. The Registrar’s office will generate the ID card using the form. A form of ID and the Social Security Number from the employee is required by the Registrar’s office to generate the card. The Registrar’s office will create a new UID or update the existing UID with the affiliation of New Hire and with Social Security Number and Date of Birth from employee. The Service Desk will then create a ticket and set up the new computer account with the appropriate access levels of access. Access to other systems such as Lenel, MyCourses, and SIS may be automatic based on the affiliations in Claws and the information in HR. Provides services for initial setup, upgrades, troubleshooting, software support, file sharing, etc. Computer Related Support e-mails. Or, call 475-HELP. Note that RIT Supervisor Self-Service is automatically assigned to individuals who have direct reports. Needed for enrollment in many RIT systems. Issued after I-9 is completed. Be sure to discuss department policies. New employees go to Info Booth for temporary parking pass. Visit Parking for additional parking and transportation information. The university is committed to a sustainable community and employees are encouraged to participate in sustainable practices. Visit the Sustainability website at http://www.rit.edu/sustainability/.